Leicester City defender Jonny Evans thinks the club are moving in the right direction despite their 4-1 loss at the hands of Crystal Palace. Leicester City defender Jonny Evans has called for patience from Foxes' supporters despite the club's downturn in fortunes in recent weeks. The defeat signalled the end for Claude Puel who was relieved of his duties following the heavy defeat at the King Power Stadium. Since Puel's dismissal, a number of managers have been linked with the vacant post. Celtic's Brendan Rodgers has been heavily rumoured to be the man to take the helm but he has made it clear that he's focused on the job in Scotland. Burnley boss Sean Dyche and Newcastle manager Rafa Benitez have both been linked with the job too but they have also distanced themselves from the rumours. 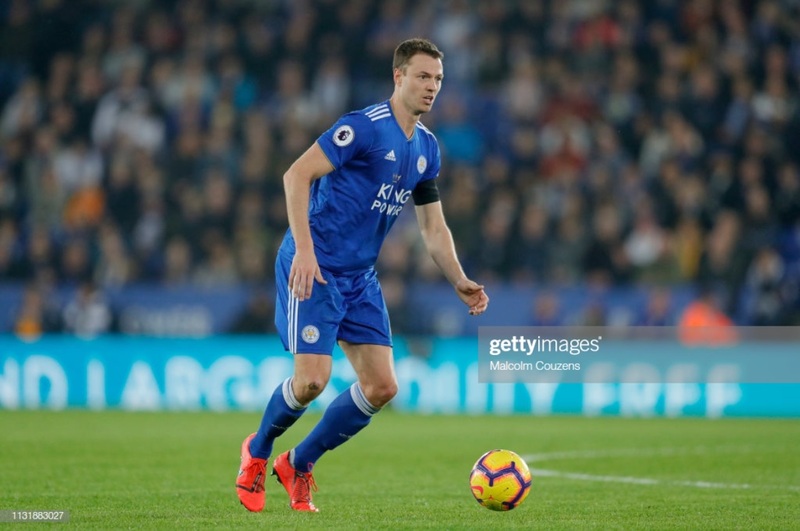 Despite the club struggling on the pitch, defender Jonny Evans believes Leicester are moving in the right direction as a club. Evans had a mixed performance against Palace, scoring Leicester's goal but he gave away a penalty with ten minutes remaining to allow the visitors to put the game out of sight. "I think we have made a bit of a turn." Evans told Leicestershire Live: "I think we have made a bit of a turn. I think the fans would be more upset if you could see we were not playing well and the team looks down on confidence, but I think we look full of confidence the way we are playing. "Harvey Barnes has come back and looked a real threat for us and it is players like that who get the fans off their seats. “They can see we are making strides in the right direction. We are just going to have to be a little bit patient." Whoever takes the vacant job at Leicester will have to inherit a young, inexperienced team which Evans admits has its problems. "Yes, I think there is a lack of experience. "There are a lot of young players in the team and sometimes you need that know how and experience to get you over the line, knowing when to slow the game down and little things like that. “But I don’t think we have ever been in the position to do that. We are always chasing the game and it has been difficult for us because we have never really been in the position where we are holding on. Leicester will have a chance to end their poor run of form on Tuesday night when they host Brighton and the Foxes will be keen to establish a gap between themselves and the relegation pack.